Sound Transit Proposition 1 is a high-stakes, three-decade commitment. Here are some answers to questions that could help you decide how to vote by Tuesday. 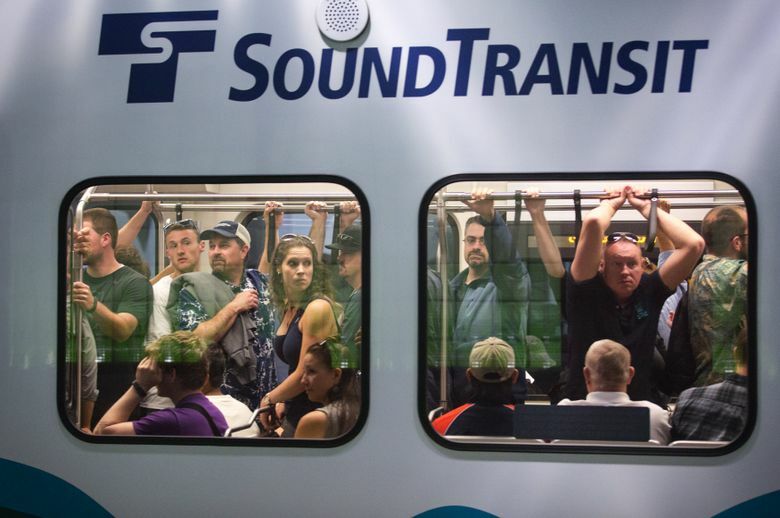 With the state of Washington solidly on the blue side in the presidential race, Sound Transit Proposition 1 looms as the most suspenseful decision that more than a million Puget Sound-area voters will make. A simple majority for the $54 billion measure would trigger a three-decade commitment to a record tax increase, paying for 10 rail extensions and three bus-rapid transit corridors in urban Snohomish, King and Pierce counties by 2041. Vote counts will go down to the wire, campaigners for both sides said this week. 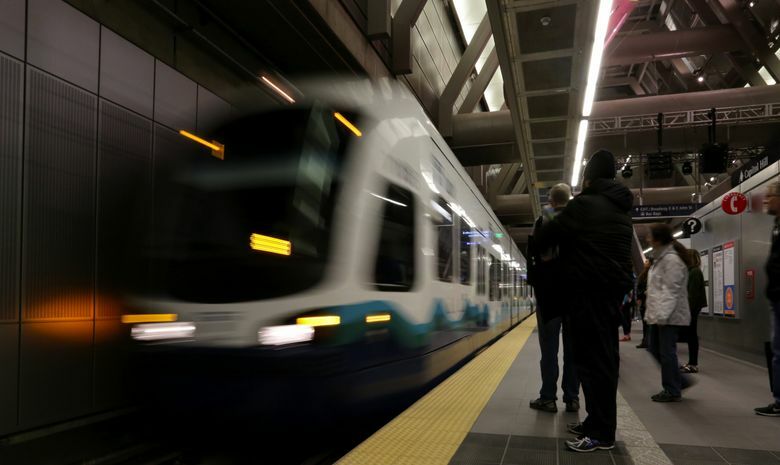 Sound Transit Proposition 1 promises to add 62 miles of light-rail extensions to the 54 miles already approved, along with bus-rapid transit lines and more Sounder train capacity. • Sales tax increase of 0.5 percent, or 50 cents per $100 purchase. • Car-tab tax increase of 0.8 percent, or $80 a year per $10,000 vehicle value. • A new property tax of $25 annually per $100,000 of value. Proposition 1, also known as Sound Transit 3, appears at the bottom of mail-in ballots. They must be postmarked or placed in an official dropbox by Tuesday. Q: Would ST3 reduce congestion? What the plan offers is an escape from traffic misery, for people who can reach the stations on foot, on a feeder bus, or via park-and-ride. Commuters to central Seattle, to the airport from Tacoma, and from south Snohomish County to the University of Washington or downtown should save time. Even if the network outperforms official estimates of 700,000 daily passengers, that’s a fraction of 19 million regional trips by 2040. The yearning to escape gridlock might push demand higher, and light-rail capacity seems up to the task. Leading proponents don’t promise that traffic will improve. “We’re building additional capacity to give people options to get out of traffic. With 1 million people coming, I don’t know how anybody can realistically say we have a way to reduce congestion,” said Shefali Ranganathan, executive director of the Transportation Choices Coalition. Pro-ST3 ads often show clogged freeways and lamentations. “They’re not able to get away with saying they’re going to solve congestion in this one, but they’ve implied it through visuals,” contends opponent Maggie Fimia. Congestion is influenced by how much agony drivers can endure, the effect of future highway lanes lawmakers approved last year, how soon collisions are cleared, and parking. Q:The plan takes 25 years. Can I get relief sooner? A: A total $227 million would pay for “early deliverables” in the first eight years. Madison Street bus-rapid transit could open by 2019, with ST3 supplementing city and federal funds. Unspecified improvements are promised for the RapidRide D bus line in Ballard and C Line in West Seattle. Shoulders of Interstate 5, Interstate 405, Highways 518 and 167 would be strengthened, so express buses can bypass traffic jams. Other items include a Sammamish park-and-ride and more stalls at Edmonds and Mukilteo stations, where ferries and Sounder trains meet. That finite $227 million pot, along with design, outreach and permits, plus the alchemy of budgets by multiple governments, mean projects will take a few years to deliver. Bus-rapid transit routes on Highway 522 and I-405, including park-and-ride garages, are due in 2024, along with trains to Redmond and Federal Way. Rail-extension targets include West Seattle and Tacoma in 2030, Ballard in 2035, Everett and Joint Base Lewis-McChord in 2036, and Issaquah to south Kirkland in 2041. Q: Is this the biggest local transit measure ever? A: You could say that. The highest total is this fall’s Los Angeles Measure M, a 40-year plan that reserves at least $81 billion for transit, of the total $121 billion. ST3 weighs in at $54 billion including inflation and federal grants. Increased property, sales and car-tab tax would yield $795 million next year, compared with $860 million from a proposed half-cent sales tax hike in Los Angeles. But Sound Transit serves a smaller region, so the cost per household would far exceed L.A Metro. Formerly, the FasTracks measure in Denver held the record at $4.7 billion when it passed in 2004. Phoenix voters passed $31 billion for rail and bus last year, while San Diego County is sending $18 billion to the ballot. Q: Do they have to follow the plan? A: A ballot win would place enormous trust in the agency, and really local politics in general, to manage the future. In the event of overruns or a recession — both of which strained earlier Sound Transit funding measures — state court rulings affirm the Sound Transit board may delay or scrap projects, and there is no cost cap. In the event of a surplus, the ballot ordinance says taxes would be reduced after ST3 projects are funded, in the board’s judgment. Another clause allows the board to spend leftover ST3 dollars to improve previous projects. What the board can’t do is tack on extensions, such as tracks to Marysville, Burien or Renton, without a public vote. Two-thirds of the 18 board seats have turned over since the last measure in 2008, so the politicians who wrote this year’s plan are not necessarily the same people who will oversee it. There are no direct transit-board elections, while current and future bond contracts effectively shield the projects and revenues. If voters ever become dissatisfied, their recourse is to defeat the Pierce, King and Snohomish County executives, who pick the transit board; or vote against any ST4. Q: What if ST3 loses? A: Taxpayers would keep money in their pockets rather than spend an additional $169 per median adult, to vary by wealth and lifestyle. Lynnwood Station, Highline College and Bellevue-Overlake will get rail service in 2023 that voters already approved — a point opponents make to say there’s no rush to approve ST3. Stations for downtown Redmond and Federal Way under ST3 would be delayed past the 2024 goal. “We would have to go back to the drawing board,” says Ranganathan, with the next prime opportunity in 2020. A political movement might emerge for Seattle city taxes to underwrite big projects there — as voters two years ago approved a $60 car-tab fee to buy King County Metro Transit bus hours. That scenario seems unlikely, said Ranganathan, because any Sound Transit restructure must pass the Legislature. And she sees no appetite from political leaders, like Mayor Ed Murray, to Balkanize the region. Information in this article, originally published Nov. 3, 2016, was corrected Nov. 4, 2016. A previous version of this story gave an incorrect date for when Seattle voters approved a $60 car-tab fee.